Save the date: June 29! 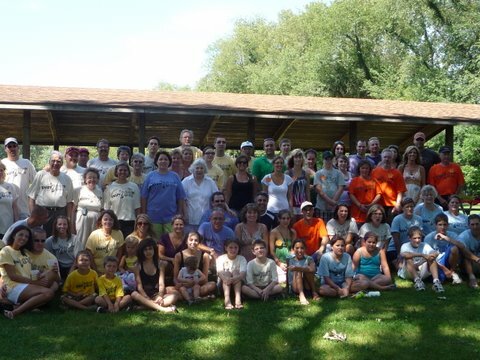 It’s official – the Annual Knapp Family Reunion is June 29 at Silver Springs Park in Stow! Stay tuned for more information from Uncle Gary Knapp about a planning meeting in March. We need volunteers to help – there is plenty to do, so bring your kids or whoever is willing to help to the planning meeting. If you can’t offer your time, we’re always willing to accept donations to offset the cost of renting the shelter, buying a ton of ice, food, bottled water, etc. So let us know how you wish to contribute to this event. If you’re not “officially” a Knapp but are part of a related line (TRARES – KLINE – MAY – WISE – etc.) and would like to attend in order to “reconnect” with your Knapp cousins, you are welcome to attend, too. We just ask that you let us know you’re coming so we can make sure we have enough food, ice, bottled water, etc. You can drop me a line at Knapp Notes – click on the Contact tab. For those who haven’t attended before, please bring a dish to share and your favorite lawn chair. We usually have games and activities for the kids. If you have photos and family records to share, bring them with you. We can scan/photograph them right at the event and they can be shared on Knapp Notes (or kept private in my archive – your choice!). On the Reunion tab, I will post directions and bulletins about the plans for the Reunion – so stay tuned for more details later. 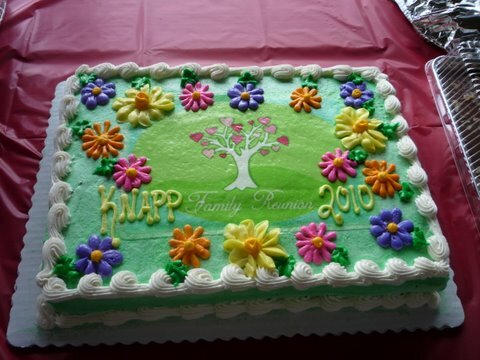 This entry was posted in Reunion, Uncategorized and tagged 2014 Knapp Family Reunion, family. Bookmark the permalink.